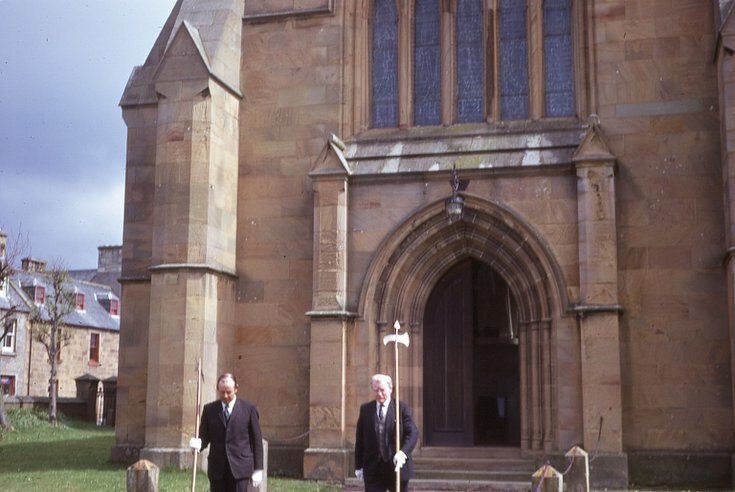 First in a series of 8 colour slides recording the 'Last Kirk in Dornoch Town Council' in 1974. Following a Service in the Cathedral the Town Council began a procession through the town. This image records the start of the processonal from the Cathedral west door.